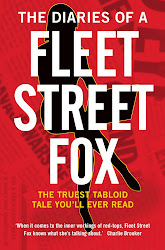 fleet street fox: Silly (adj. ): Absurd, ridiculous, irrational. I knew where I was when we were plebs. I was quite happy to be one of the proles, a peasant, a pain in the posh boys' backside. Whether we like it or not humans do want to know their place. That's why newspapers use the ages, jobs, and a description of the houses and cars of people they write about - so that The Reader can label the person, and slot them into the 'Just Like Me', 'Just Like My Sister' or 'Just Annoying' categories we don't like to admit we all have. Knowing your place doesn't mean you're happy with it, or that your place is better or worse than someone else's. It's just a mechanism for working out who we do and don't like, and the Plebgate scandal did that quite nicely. When Chief Whip Andrew Mitchell left work in September and got angry with police officers who wouldn't open the Downing Street main gates for his bicycle, there weren't many people on his side. An uppity cyclist is easy to dislike. A suited man in bicycle clips is a pleasure to mock. Anyone other than a witch with a basket on the front of their bike is frankly a joy to poke fun at. On top of that this was a top Tory, a rich, privately-educated millionaire ex-banker, angry at being made to follow the rules everyone else has to abide by. For us plebs, this was karma at work in the land. He effed and blinded at the officers guarding the gate, and two days later parts of the police log of the incident were released reporting he had called them "f***ing plebs", said "you don't run this f***ing government", "best you learn your f***ing place", and finally "I'll have your f***ing job for this". Well. It was already brilliant but when they heard those details, both the peasants and the papers rubbed their hands and waited for his inevitable, and highly pleasurable, fall from grace. He handled it badly, gave a carefully-worded apology, admitting swearing but denying use of the word pleb, and hoped it would all die down. It didn't, for the simple reason that after years of opposition and then government by people from very privileged backgrounds and public sector cuts we all felt like they thought we were plebs. It fit into our categories for people. The PM called in the CCTV footage of the incident, and pronounced it inconclusive. Then a few days after the incident an email from a member of the public appeared to back up the police claims, and Thrasher Mitchell's demise became merely a matter of time. He hung on for a while, but when the MPs he was supposed to discipline rebelled, his position became untenable. Some even said they had been victim to similar, sweary tirades. And now Mr Mitchell says the whole thing was rot. He has been able to get the CCTV footage, journalists have tracked down the 'member of the public' who now appears to be a serving police officer, and someone's been arrested. All, it is clear, is not quite as it seemed. So where does that leave us plebs? Adrift, to be frank. We no longer know for sure whether or not we are plebs, or whether 'they' think we are plebs, and whether we ought to like the posh banker boy. There is even the unpalatable possibility that we plebs ought to say sorry to the chap with the bicycle, and that he's actually been quite hard done-by. But one part of that story falling down does not erase the rest of it, any more than a tile slipping off a roof makes your house collapse. Sometimes it could be a sign the whole thing is shoddy, and other times it is just one, easily-fixed tile. Mr Mitchell still admits swearing at police officers. That's still something most of us would get nicked for, if we did it. The CCTV doesn't look like a serious confrontation, but we all know it's possible to have an argument by hissing and Mr Mitchell seems the sort of buttoned-up individual who would huff and swear rather than scuffle or gesticulate. The video is, as it always was, inconclusive. It does prove bits of the police log were wrong - there were no "members of the public" who were "visibly shocked", in fact there seems to be just one bloke who was mildly interested. It makes you wonder how much of it was embellished in a similar way, but at the same time coppers aren't the best writers. Logs are all about proceeding northwards and Caucasian males, and an officious plod might well decide that one earwigging tourist constitutes a shocked member of the public. The corroborating email seems to be fiction, but it's more than likely it and its writer will be examined in court in due course and that's the only place where we'll find out why and how it was written. If it gets to trial he's entitled to a fair one, even if police and politicians are leaking about it for their own ends, and just because it is false does not mean the central accusation is as well. The truly damaging thing about the Plebgate scandal is not the detail of what was said - although of course, without that, it's the Gategate scandal - but the way it was handled. Mr Mitchell admitted swearing at policemen as though it were acceptable, and it's not. He fudged an apology while looking as apologetic as an irate duke who's caught a serf touching his boot, and just as as livid. People have demanded he get his job back but he's still a silly, angry, uptight man who refused to walk his bike through a gate and swore at a copper - that's the basic reason he lost his job, and it hasn't changed. The CCTV doesn't show a damn thing more now than it did then, and the government had this email and spoke to the person who wrote it at the time, without finding out he was apparently a policeman. Let me say that again - the GOVERNMENT couldn't find that out, and they employ him! Did it not cross their minds to put his name into the computer? Does this mean they don't have a computer? Could I write a letter and pretend to be the Queen and they wouldn't know any different? It's really easy to spot a copper. They tuck their shirts in, and have short hair and shiny faces. I can spot one twenty foot away in a darkened bar when I'm hammered. If the people running the country can't do better then I wouldn't trust them to run a tap. Policeman are not really a political bunch, either. Rank and file officers regard politicians as something they'd rather avoid, like a week of night shifts, and the chances of some bothering to conceive a conspiracy in order to "toxify the Conservative party" as Mr Mitchell dramatically claims are slim at best. Which leaves us with the conclusion that something distasteful and pleb-like probably happened, was more a hissy fit than a rant, got backed up by someone who should have stayed out of it, and people on all sides are using it to score points. The police have wound up arguing with the government, and that's always messy, especially when the Prime Minister's chums are due to stand trial soon. And it's all embellishment, really - everything here is decoration on top of the main point, which is that a silly man did a silly thing and was made to look too silly to do his job. That hasn't changed. It might not have happened to the rest of us, but then the good thing about being a pleb is that you can get away with being silly. If you run the country, on the other hand... well. You can argue the point, but once silliness sets in the more you fight it the sillier you look, like a businessman who slips on a banana skin and then slips on it repeatedly every time he tries to get up. Let the courts and time clear Mr Mitchell's name, if needs be. He'll never get to the truth for the simple reason he won't want to see it - which is that he'd be a lot happier if he was a pleb, just like us. It's only an insult if you mind.